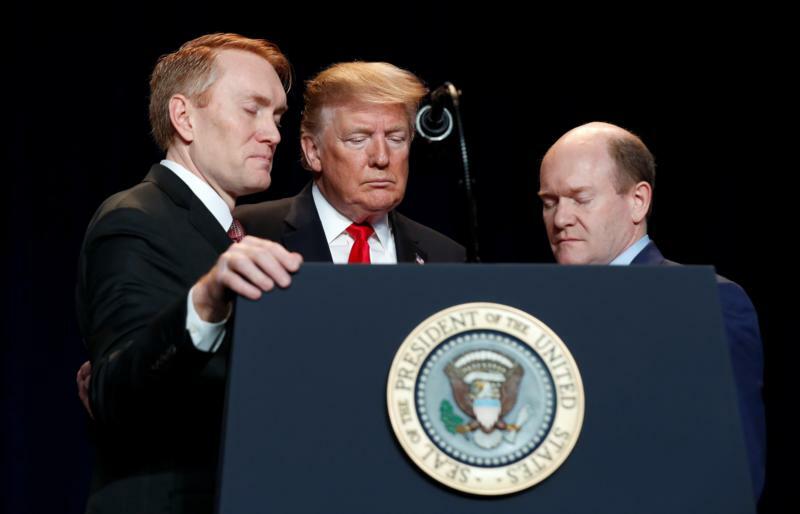 WASHINGTON (CNS) — Touting efforts to protect religious freedom, President Donald Trump told the National Prayer Breakfast that his administration would defend the right of faith-based adoption agencies to place children in families based on firmly held religious beliefs. His comments came after introducing Melissa and Chad Buck, a Catholic couple from Holt, Michigan, who have adopted five children with special needs through St. Vincent Catholic Charities in the Diocese of Lansing. Two of the Holts’ children — Max, 10, and Liz, 9 – joined the couple at the breakfast.